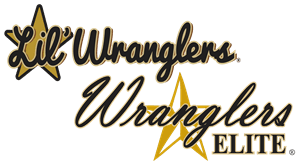 The Lil' Wranglers® and Elite Wranglers® are patterned after the internationally famous Aggie Wranglers from Texas A&M University. They range in age from 5-18 years old, and they perform stylized country & western jitterbug and swing dance moves all over the state of Texas, and beyond, sharing their love for dance. They are under the direction of their founder and Nat. Director, Sharon Toups, Aggie Wrangler, class of '89. & Reg. Director, Seth Toups, Aggie Wrangler, class of '14. As the legal parent or guardian, I release and hold harmless Lil' Wranglers® or Elite Wranglers® Cypress, its owners and operators from any and all liability, claims, demands, and causes of action whatsoever, arising out of or related to any loss, damage, or injury, including death, that may be sustained by the participant and/or the undersigned, while in or upon the premises or any premises under the control and supervision of Lil' Wranglers® or Elite Wranglers® Cypress its owners and operators or in route to or from any of said premises.